As I continue to mature in the Teachings of Jesus, I am accepting of the knowledge and wisdom that there are many things that I have done that I will never be able to reverse. The surrender of my limited power was my claiming of the Freedom that was given to me by my faith that Jesus earned. I was immediately filled with an abundance of His Love that brought with it such A Joy and such A Peace as I had never experienced before. Glory to God. So many things are out of my control and the only cure or remedy for past wrongs on my part is the Saving Grace of God through my relationship with Jesus. Did I mention that all this that I received is FREE TO ALL that ASK for it? This is one of the first healings that God’s love covers us with at the time of surrendering your life to God in the name of Jesus. Sadly, many do not receive this healing of His forgiveness for the wrongs from our past lives. He gives it-but we must go get it and receive it. Amen. No more being haunted by the echoes of old, lost memories filled with pain, hurt and brokenness tempting me to start on a “whyme-whenGod“ cycle. These past wrongs are used by satan as tools of his destructive purposes in our lives. God has taken all that away and has taught me an understanding of His knowledge as to why He took them. They were interfering with what He has planned for my life. So they had to go. Simple enough for me to understand and release my mental hold on them. The Oil of Grace is a most powerful gift to receive from Jesus. And I tell you-The Oil of His Grace works in all of Its power and glory to God. To reach a place of deep fulfillment of a quality life with Christ is the yearning of true believers in Christ. To move into this place of Freedom and then begin to grow while there throughout the days we have been given is what our Spirits sing out for. To Be At Home In Christ Jesus. A deepness within your heart and soul that gives Him total control over and in your life—gives you a great Peace of heart, spirit and mind—calming you as you settle within a place you have searched to find. And He found me. Has He found you yet? Have you answered His call yet? There is no angel that is truthfully able to say that “once they were lost, but now they are found-that once they were blind, but now they see”. But I can—you can and when we do speak those words aloud they carry with them The Power of Gods Love=as speaking these words gives glory to God through our lives. When you allow Jesus total control over and in your life, He takes these negative memories that are used as tools of destruction in the hand of satan-and He uses them to remind us of our human frailty, of where He has brought us from, and to also keep us humble and submissive to the guiding of His powerful influence. Which means that we did not get to NOW without His help! The more we grow in our spiritual maturity we move into a deeper realm of reconciliation with God through Christ. This growing and moving is how He shows us His power that transforms our lives and our environment. All this is achieved by spending quality time with God. I hope and pray that others will recognize His quality of character and be challenged to respect and appreciate the difference that God has done in my life. Hopefully they will not reject what is also available for them in their lives. A great peace of mind, spirit and heart from God’s grace through Jesus Christ. In His name Amen. God wants you to grow into this place--to Rest in this place of His Peace--He wants For you to be able to say whole heartedly, just as I am able to speak; that I am connected to God through my relationship with Christ Jesus. I experience God because I have invested more than just time to gain and maintain this connection. I am never at the mercy of another person who wants to argue and reason the experience that I have gone through and continually enjoy. He wants you to be able to say = I am one of many that have been called and chosen. I am one of the few that answered Him YES! So far away from the rejection when it is used as a weapon of satan through another—that the pain and hurt that is inflicted when someone pulls the trigger of rejection-do I stand—so far away do I stand from those who spend time arguing with their demons and their fears through contradictions--far do I stand from those who are only passing by, and I stand beyond the arguments from the ridged, legalistic religious crew. Who knows nothing of the Spirit because they are following people praise and not the Spirit of The Lord. I stand with those that have a genuine connection with God—Alone with Him I receive His complete healing in every area of my life so that I am a worthy vessel of His. A dirty glass cannot provide living waters to the thirsty. Those people that do not have teachable hearts because they have too many agreeable fears that govern them. These remain on the outside of what God has for them to be and do. So through pure ignorance and through a willingness to ignore Him, they do not understand or experience Him in His completeness of healing and deliverance. Jesus taught God’s word in parables to those who where able to hear, those that stopped to listen, to those who were willing to hear—For those that needed the help of simple stories that enabled them to grab hold of His truths that are so awesome that open the flood gates of His possibilities that He has turned into our opportunities! For you to be able to stand and truthfully say that you truly know God and that His method and level of the connection is vital to your life—to our lives is what He wants you to come to know, come to understand and come to accept for your life. 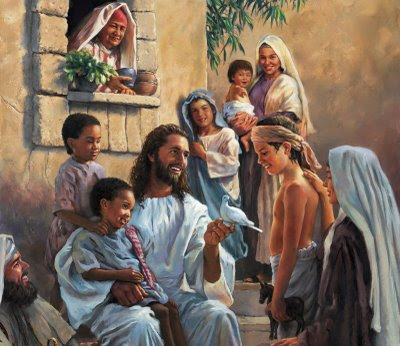 Jesus explained “all things” to “His disciples” –Apart from crowds who stopped to listen only to return to their routines and familiar things. Listening to their fears instead of the Savior. Being patient is not our ability to wait-but is our ability to keep a good attitude while we wait. Satan knows that he cannot convince many of us to stop waiting on God. We are too strong—but he knows he can mess with “How You Wait” on God. Don’t listen to your fears—they will always lead you into a consuming fire.